Getting your hands on CBD supplements is easier than ever before. The cannabis industry in Great Britain is much larger than you might expect, and experts assume that it is only going to keep growing. In fact, it’s likely that not even Brexit will impact the UK’s cannabis industry! This is especially likely due to enormous cannabis markets in North America; Canada even recently legalised recreational marijuana! Nevertheless, despite the growing popularity of such products, there is still a lot of confusion. The distinction between cannabidiol and cannabis, and even between cannabis and marijuana, is never usually explained. Consumers are thus concerned about the law – if marijuana is illegal, where does that leave CBD? The laws regarding cannabis are the same throughout the United Kingdom, so let’s explore this aspect first. A problem here is that the term ‘cannabis’ is pretty vague. It refers to a family of plants, all of which have slightly different properties and variations in genetic makeup. Most commonly, ‘cannabis’ is used in reference to marijuana, which is just one variety of the plant. Marijuana has been restricted in the UK since 1928, but at this point usage was fairly low. When more users of recreational marijuana appeared in the 1960s, the government introduced a stricter classification. Under the 1971 Misuse of Drugs Act, it was labelled a Class B drug, meaning there are penalties for dealing, production, and trafficking of up to 14 years in prison. Possession warrants 5 years in prison and an unlimited fine. In 2004, it was briefly shifted to a Class C drug. However, Prime Minister Gordon Brown re-instated its Class B classification in 2008. This being said, many police forces across the country have recently said that they won’t be enforcing cannabis laws too strongly. Attitudes toward cannabis are clearly shifting, and many countries are legalising the herb. In 2015, for example, County Durham police announced that they will not be targeting people who grow cannabis for personal use unless they are being “blatant.” Largely, these police schemes are being introduced because budget cuts are pushing police to focus on more serious areas like knife crime. Despite the fact that marijuana is illegal in Great Britain, we are the world’s largest exporter of legal cannabis. Medical marijuana company GW Pharmaceuticals is also based here, producing the marijuana-derived treatments Sativex and Epidiolex. Some politicians have been criticised in recent years for condemning cannabis whilst also having stakes in these exports. Clearly, the hypocrisy of Britain’s actions eventually became too much. On November 1st 2018, medical use of cannabis was legalised after a review into its status. This was as the cases of severely epileptic children came to light, and it became apparent that cannabis could help to improve their quality of life. The NHS may now prescribe cannabis-derived medications for conditions like epilepsy when all other treatment options have been tried. What About Hemp in Scotland? Another form of the cannabis plant is hemp. Since this contains very little THC (the psychoactive compound found in marijuana), it enjoys a much more liberal legal status. It is still not 100% legal, as farmers must obtain a Home Office approved license before growing any hemp. Hemp, particularly the industrial variety, has uses in nutrition, textiles, and even construction. While it was used for textiles more in the past, it appears to be making a bit of a comeback. But hemp nutrition has remained popular. Hemp seed oil, hemp seeds, and hemp hearts are all available to buy in supermarkets because of their wonderful nutritional value. The sale of hemp seeds in supermarkets should be enough to assure you that hemp is legal to buy, sell, possess and consume. The striking contrast between this and marijuana should let you know just how varied cannabis can be. Is CBD Different to Cannabis? If you have never taken CBD before, you might not know what it really is. A shortened form of cannabidiol, CBD is a cannabinoid, one of the active compounds found within cannabis. There are estimated to be a hundred or so of these compounds, all with different effects. THC is probably the cannabinoid you have heard the most about. THC is what causes the ‘high’ experienced from recreational marijuana, making it a somewhat infamous cannabinoid. This is also what makes people so apprehensive about CBD, as they assume it can make users feel high. Quite the contrary, CBD is completely non-intoxicating. It does not interact with your body in a way that will cause a high. As a result, there is no need to worry about the effects CBD could cause if you take it. Instead, people are taking supplements containing CBD in order to improve their health. Studies taking place into the efficacy of CBD have found that it interacts with an innate system we have called the endocannabinoid system (ECS), and the way it does this could have beneficial effects for our health. 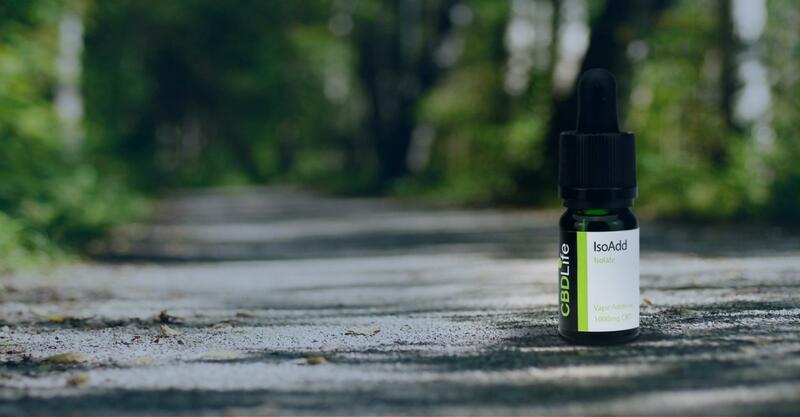 Since the ECS is tied closely with a number of functions we have, CBD’s positive influence on it can ensure that our immune system works properly, we get enough sleep, our mood remains stable, and more! Normally, CBD in the UK is taken from hemp to ensure that it contains as little THC as possible. When a product contains less than 0.2% THC, as per the legal limit, it definitely won’t get you high. 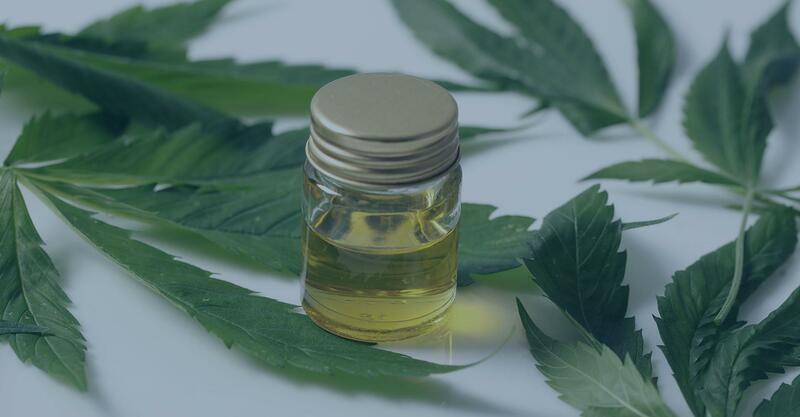 The CBD is extracted from hemp and suspended in an oil, a capsule, an edible, or whatever consumption method you prefer. These supplements are definitely legal, so you can’t get in trouble for buying them! If you’re interested in buying CBD oil in Scotland, then you have plenty of options. Just be careful that you are buying an actual CBD product rather than a hemp seed oil, as hemp seeds don’t contain any CBD. 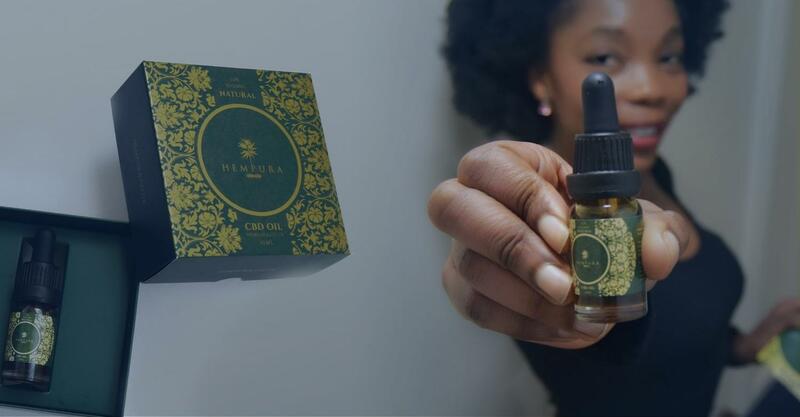 You might be surprised, but you can literally find CBD oil on the Scottish High Street. First of all, popular chain Holland & Barrett sell a range of Jacob Hooy CBD oils, as well as Love Hemp CBD water, so if you have a H&B near you, pop down and take a look! But there are also shops dedicated solely to CBD springing up on the street. If you live in a big city like Edinburgh or Glasgow, all you need to do is look – you’ll start noticing CBD everywhere! For example, the Hemp Community Interest Company can be found in Leith, selling a range of CBD food supplements from just £10. There are also a number of other shops boasting cannabis leaves in the window with ‘CBD’ announced in large lettering. Really, you’ll start to notice this in pharmacies and health food shops everywhere. If online shopping isn’t your thing, a quick Google search for ‘CBD oil near me’ will reveal all. There are also places in Scotland where you can buy CBD online with ease. Holistic Hemp Scotland is one of the nation’s favourite brands right now, offering a selection of organic, artisan hemp products infused with CBD. They pay real attention to their products, hand-picking the hemp flowers and hanging them to dry. Holistic Hemp have a big range of full-spectrum CBD products, including oils, capsules, and pastes. What’s more, they all come at a reasonable price! You can shop their products here. Based just outside of Edinburgh, Cannadonia is a family-run business dedicated to CBD products. They pride themselves on quality customer care, and pay close attention to their wonderful products. With lab-tested, organic CBD and products all suitable for vegans, Cannadonia’s full spectrum CBD products are certainly worth the investment. They sell a huge range of oils, moisturisers, capsules and gift sets. Their products can be purchased in pharmacies, gyms and shops across Edinburgh, Dundee, and Inverness. You can also buy online here. While not based in Scotland, PROVACAN is without a doubt a top UK brand you should take a look at. 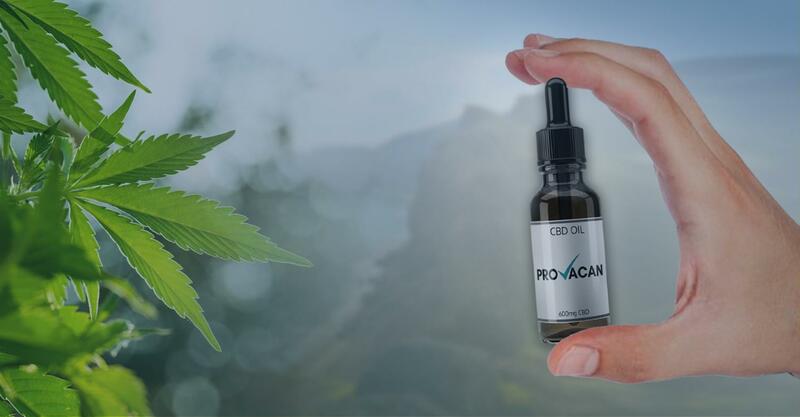 Backed by top-notch Israeli science, PROVACAN is brand pushing high-quality CBD products that provide the most in efficiency. 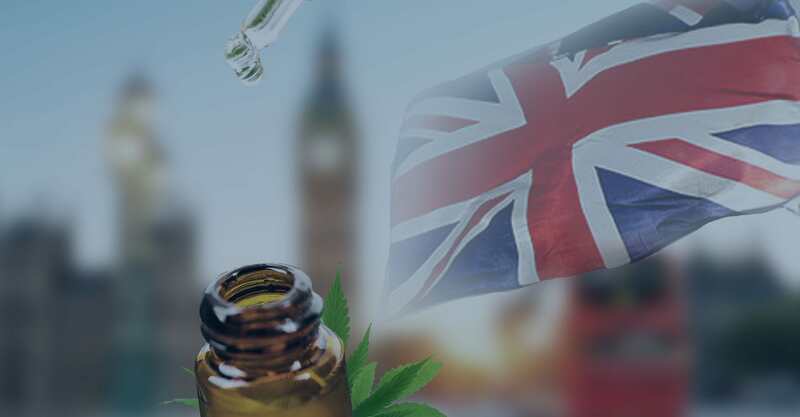 Their EU-grown hemp is used to produce a range of great products including oils, topicals, capsules and e-liquids, with 3rd party lab reports to back up the claims. 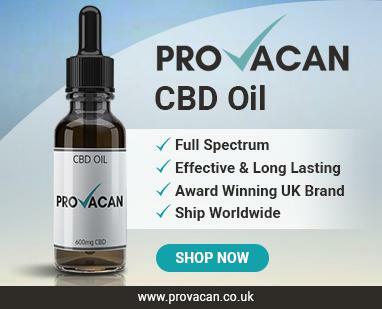 PROVACAN are pioneering for a better future in hemp and CBD, catering to a UK audience with safe and legal products. You can buy PROVACAN’s great range on their official site. It’s hard to say exactly where the CBD industry will go. We can only expect that it will skyrocket as more people discover cannabidiol and all its benefits. Already, it’s so easy to get your hands on CBD, and it could become even easier if the laws surrounding cannabis in general start to change. While this might be a long way off, it is not entirely impossible. It’s obvious that attitudes towards marijuana are changing all around the world, and a more positive view of the plant could just make it easier for manufacturers to produce cheaper and better quality products. For now, purchasing high-quality CBD in Scotland is still easy as pie! Buying online is easier than ever, but you could always take a stroll down to your local pharmacy to see what’s in store. If you are a regular consumer of CBD in Scotland, let us know your favourite brands in the comments below.